CHICAGO (WLS) -- Work is being done to redevelop Chicago's Woodlawn neighborhood. A CTA station is being rehabbed and there's a plan to re-open a grocery store in the area. Long-time South Side resident Brittany Bailey said it's about time. "I'm glad to see that we're getting things built around here," she said. After years of living in a food desert, with only one full-service grocery store, residents in Woodlawn are looking forward to the opening of a new Jewel-Osco grocery store at the corner of 61st Street and Cottage Grove Avenue. "We need it for the community to bring jobs. We need food. We've got to live," Lenoy Westbrook, a neighborhood resident, said. Plans have been in the works since 2011, after a $30.5 million federal grant was awarded to help revitalize the South Side neighborhood which has been in decline for years. "In the middle of the last century there were 80,000 people in Woodlawn and today it's a little than 24,000," Bill Eager, Preservation of Affordable Housing, said. On Tuesday afternoon, the community and city officials came together to celebrate what they call the re-birth of Woodlawn. "And we have been talking for years about improving the quality of life. This is just part of it," Alderman Willie Cochran, 20th Ward, said. A 48,000 square foot full-service grocery store will eventually anchor the site. There will also be 15,000 feet of retail space along with at least 70 rental apartments. It follows the April start of construction on a Woodlawn transit station with the future home of the Obama Presidential Center only minutes away. "There have been waves and waves of folks who have left the South Side of Chicago, not the least of which is the black middle class," Leon Walker, DL3 Reality, said. Besides fresh and organic produces and groceries, the new Jewel will bring over 200 jobs to the neighborhood. "This is an area in the city where we haven't been in some time. It's awesome to bring a store of this nature back into this community that much deserves it," Doug Cygan, Jewel-Osco, said. And those who have invested their lives there hope all this will not only bring more development, but also help change the image of Woodlawn for the better. "It's becomes something that enriches our area and it's a good thing," Jean Clark, a neighborhood resident, said. 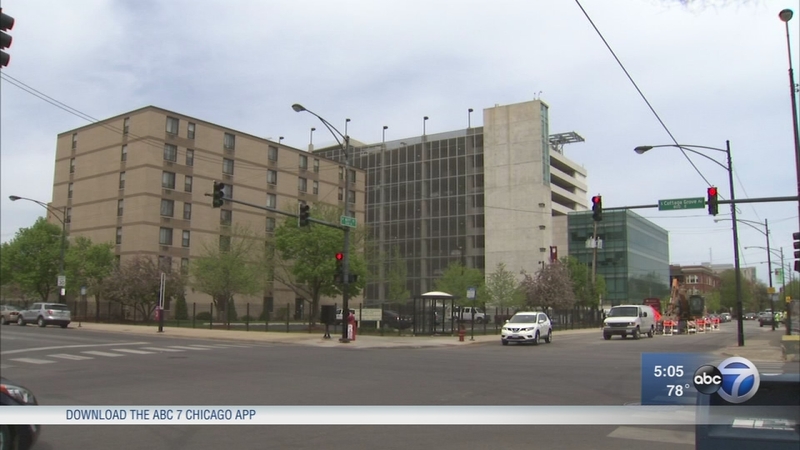 The Jewel-Osco project is the latest in what the city calls a "surge" of developments in and around the South Side community. A new recreational and educational center has already opened in Woodlawn along with the Woodlawn Resource Center which is affiliated with the Preservation of Affordable Housing organization in Woodlawn. The new Jewel-Osco is set to open in late 2018.